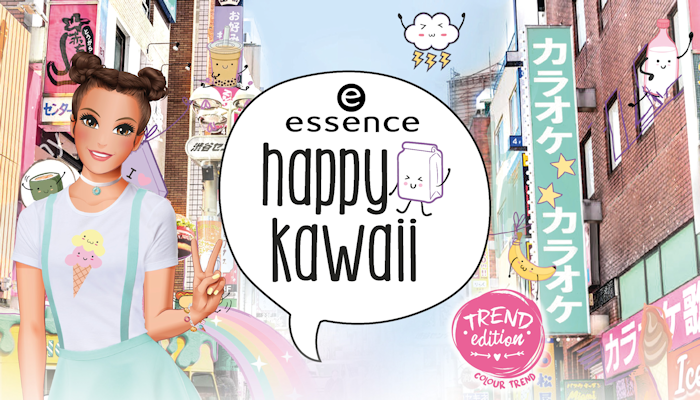 The new Essence Happy Kawaii trend edition inspired by the young and modern Japanese culture.. A new limited edition greedy and sweet, collection of delicious products suitable for the very young beauty addicts who love a lively make-up but with a touch of romance. 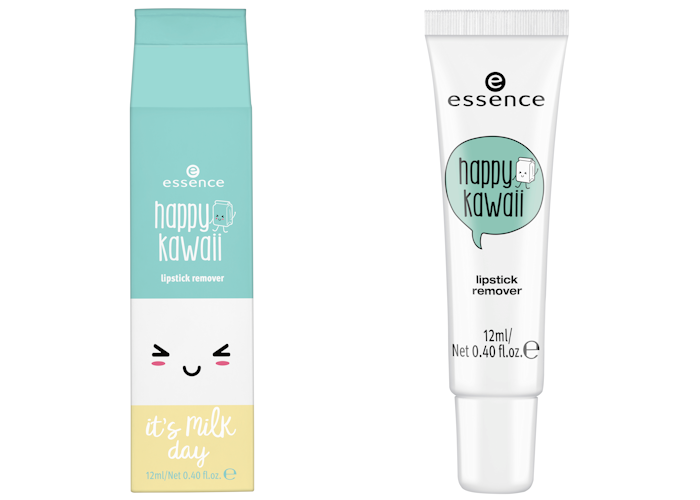 Kawaii means "cute" and the new Essence Collection has all the features that make this delicious capsule, lively, but very modern. 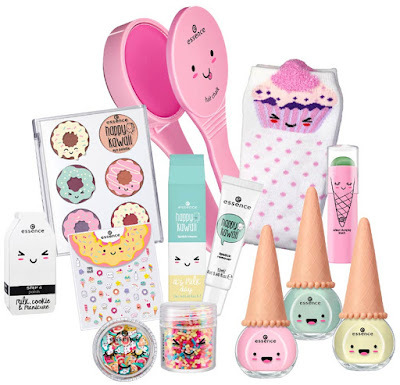 The protagonists are the pastel tones accompanied by funny emoticons and a greedy and captivating design: from donuts to ice creams, from sweets to candies. 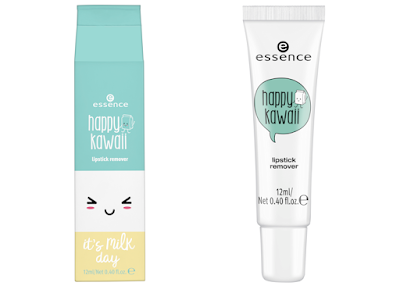 Happy Kawaii is synonymous with joy, liveliness and sweetness expressed through a line of references with a unique and original style. The perfect image of Tokyo, a cosmopolitan metropolis, lively, modern and absolutely glam. 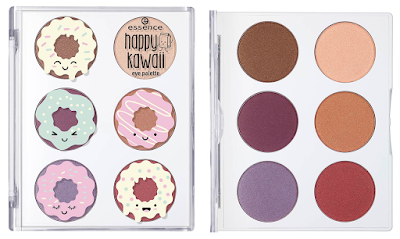 Six powder eye shadows with pearlescent finish. 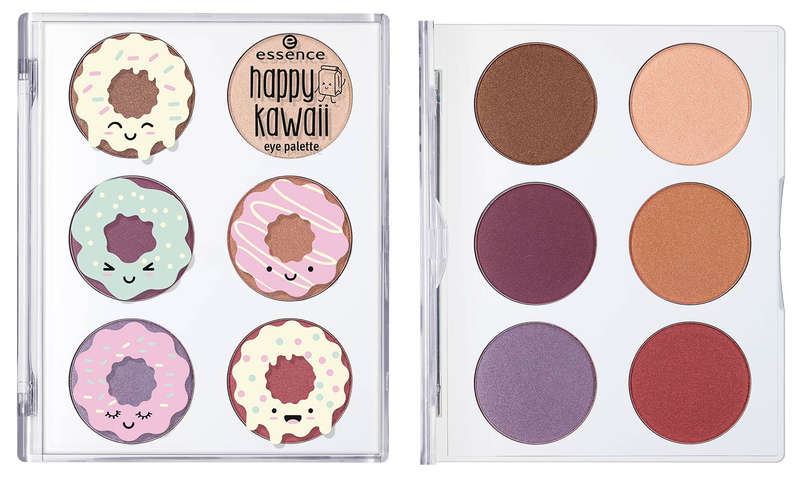 The palette is distinguished by very sweet decorative donuts on the case. 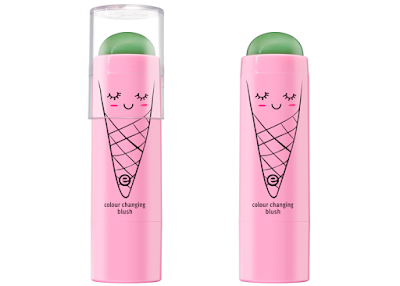 A creamy cleanser that removes lip make up delicately and in a single gesture.Enclosed in a lively packaging that resembles milk carton, it is also recommended for effective removal of opaque and long-lasting lipsticks, leaving the lips soft and hydrated. A colored chalk for hair in a delicious pink packaging that recalls a very unique kitchen pliers. Perfect for creating original and absolutely manga hair looks, the coloring is simply removed with a brush stroke or with a simple shampoo. 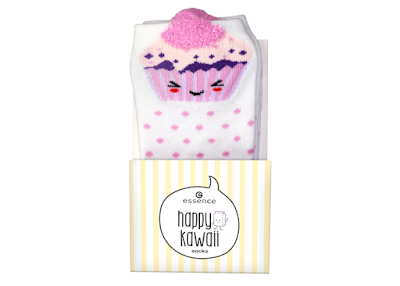 For lovers of accessories and not just make-up, Essence offers the Happy Kawaii Socks, delicious socks featuring an original and delicious print that impresses the sweet muffins. 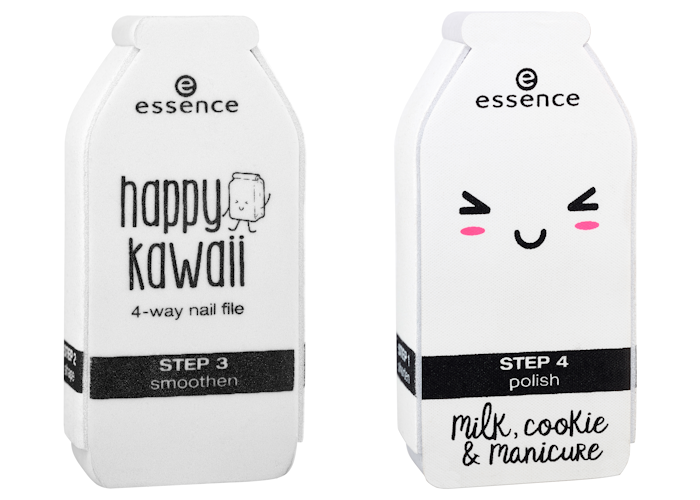 A 4-step nail file useful for polishing, shortening and shaping nails, comes in the shape of a milk bottle accompanied by a nice smiling emoticons. 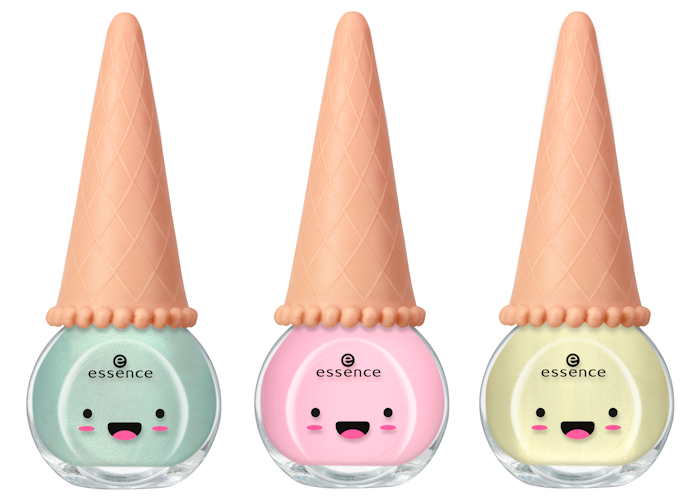 Ice cream cone-shaped enamels. The nuances recall the flavors of the creams, the finish is glossy, glossy, for a 3D effect. 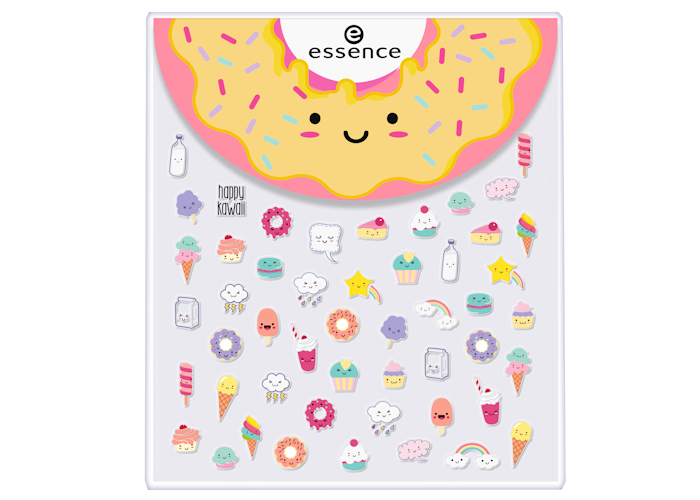 Small 3D nail decorations perfect for making sweet and original nail art. 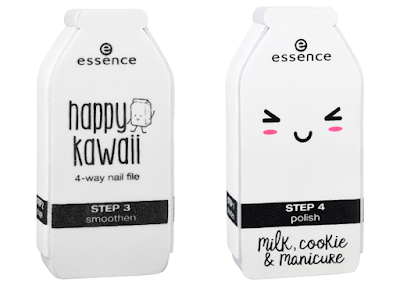 Whether you prefer the typical sugary cakes or a mix of sweets, the manicure will only look trendy like never before! 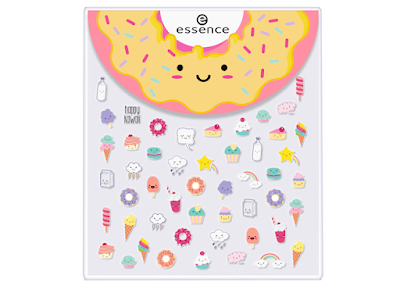 Cute stickers in the shape of sweets and emoticons. All the stickers can be used to make nail art or to complete the make up with an original and unique touch. 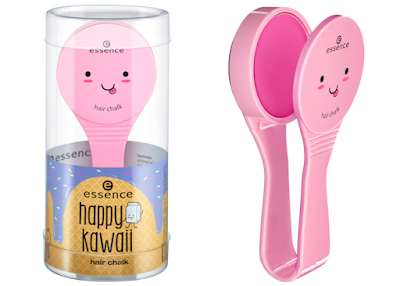 The entire Essence Happy Kawaii Collection will be available from May 2018 in stores that distribute the brand across selected European countries.